A globe control valve is a specific type of valve used for regulating flow in a pipe. 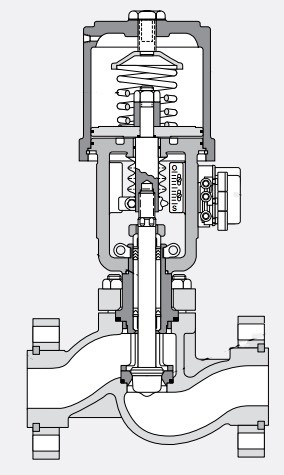 The design includes a movable plug, connected to a stem, which can be moved linearly to close or open the valve. Globe control valves are referred to as “linear” valves because of this movement, whereas ball valves and butterfly valves are referred to as “quarter-turn” valves. Generally, globe control valves provide better overall flow control than quarter-turn valves due to the design of their flow path. The Valtek Mark One globe control valve is know for superior performance in liquid and gaseous services, while also permitting easy, fast and inexpensive maintenance to its major components. The video below provides an excellent look inside a globe control valve (in this case the Flowserve Valtek Mark One).